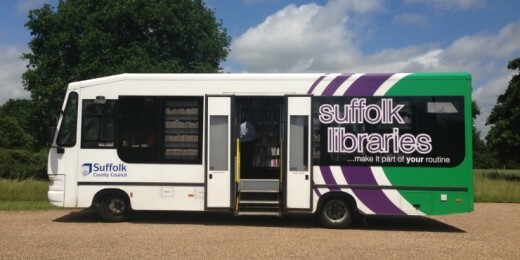 Suffolk Libraries mobile library visits your area regularly, giving access to hundreds of thousands of books, including large print, audiobooks and children’s books.You can also hire CDs and DVDs for a small charge. 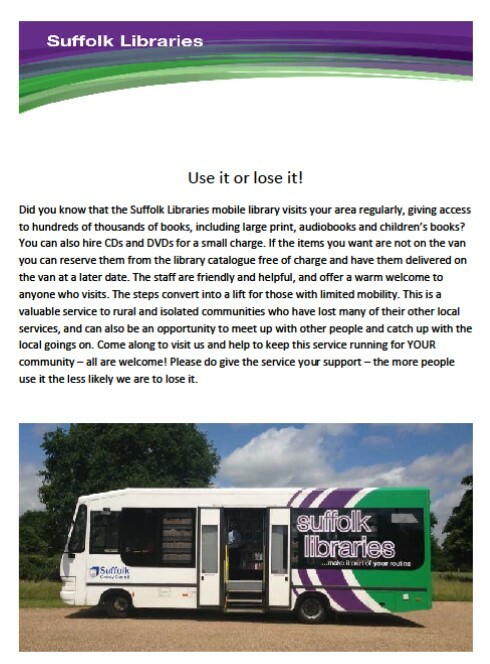 If the items you want are not on the van you can reserve them from the library catalogue free of charge and have them delivered on the van at a later date. The staff are very friendly and helpful, and will offer a warm welcome to anyone who visits. The steps convert into a lift for those with limited mobility. 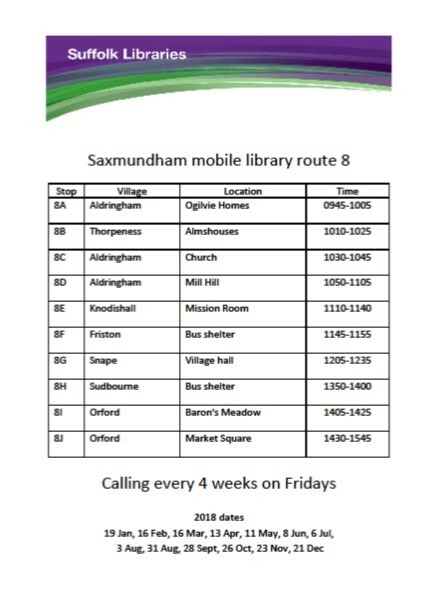 This is a valuable service to rural and isolated communities who have lost many of their other local services, and can also be an opportunity to meet up with other people and catch up with the local goings on. 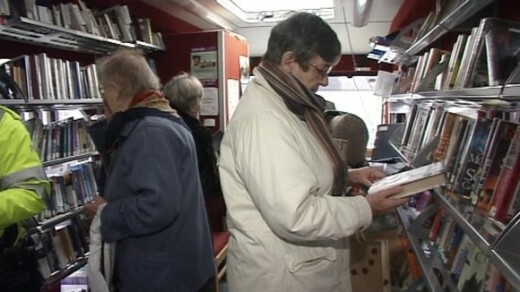 Come along to visit us and help to keep this service running for YOUR community – all are welcome!